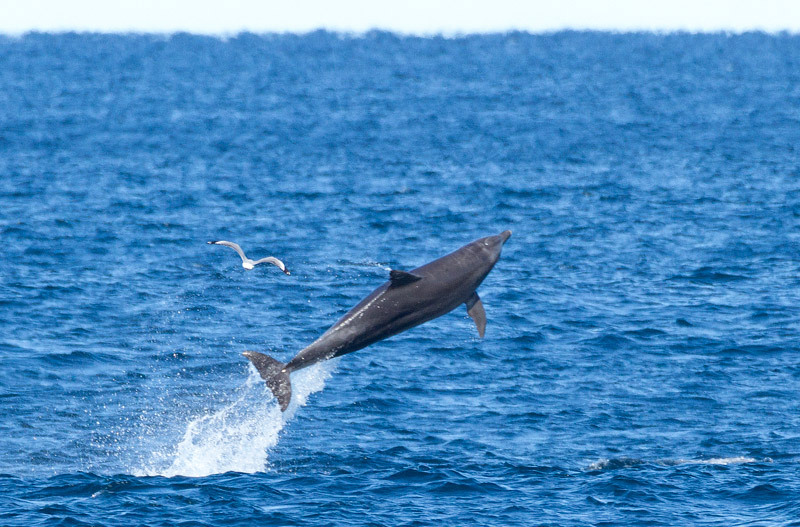 Dolphins are the most abundant and varied of all the whale species as there are over forty species found worldwide. They can be found surfing the waves at beaches, around rivers and coastal waters and out into the deep ocean. The smallest dolphin species are the Hector’s dolphin found in New Zealand waters at 1.4 metres, right through to the largest dolphin species the Orca (Killer Whale) at 9 metres. 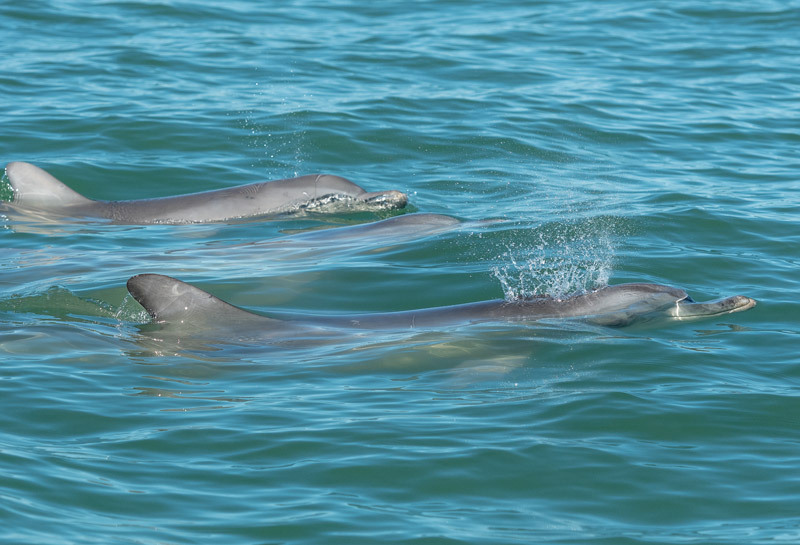 Although we generally used the term Bottlenose dolphins there are in fact at lease four subspecies in Australian waters. 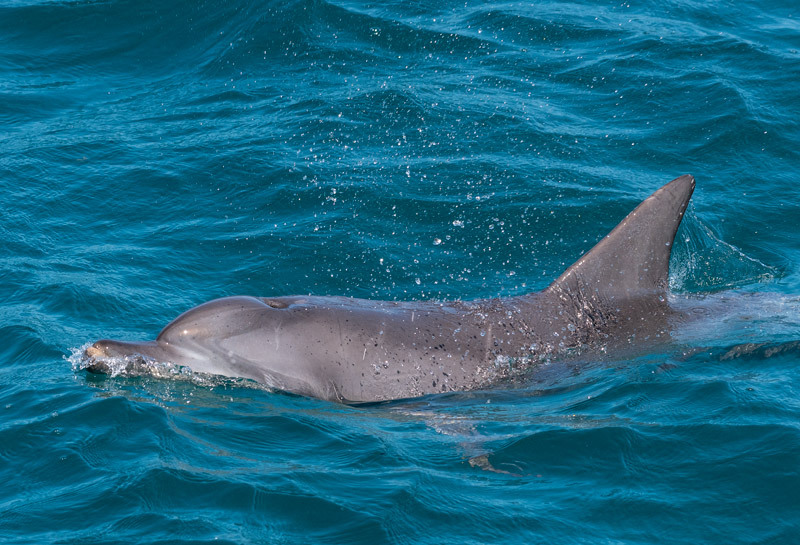 Common bottlenose dolphin (Tursiops truncatus), sometimes referred to as the Atlantic Bottlenose dolphin. They are found in the temperate and tropical parts of most oceans. 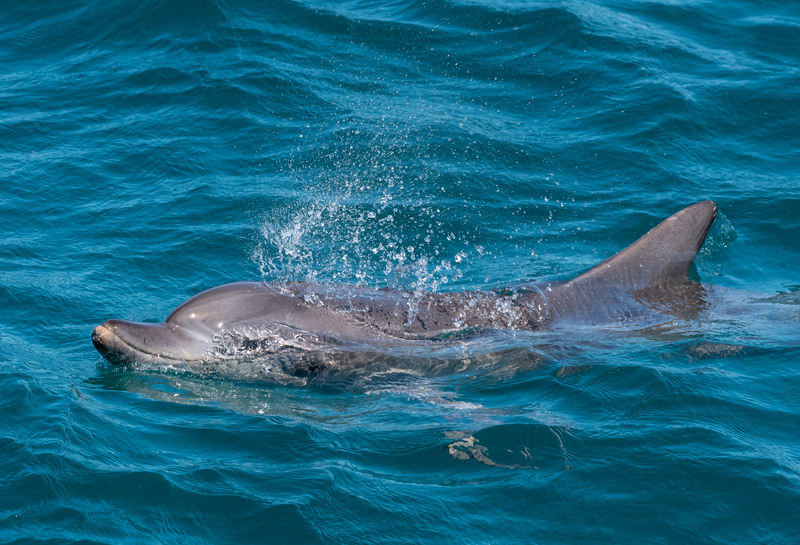 Indo-Pacific bottlenose dolphin (Tursiops aduncus) also sometimes know as the Southern Hemisphere Bottlenose Dolphin or Inshore Bottlenose Dolphin. These are found in the waters around India, Australia, East Africa and the Red and South China Seas. Pacific bottlenose dolphin (T. truncatus gilli) which is found in the Pacific Ocean. 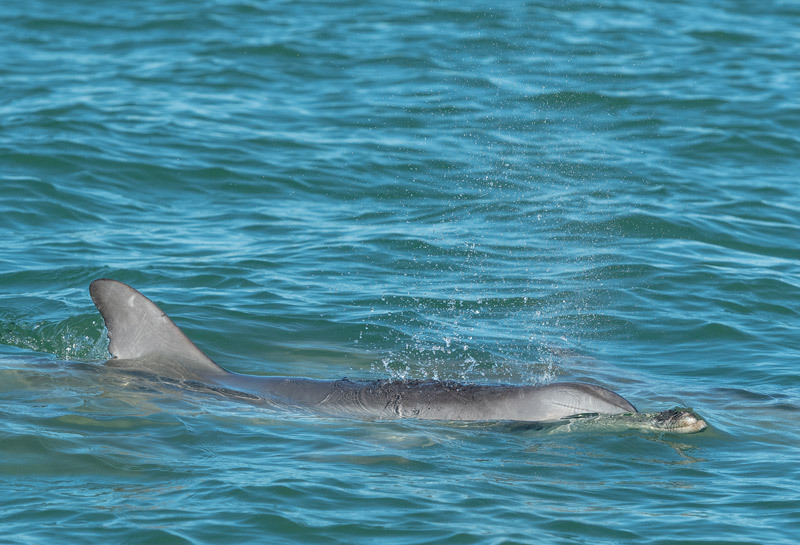 Burranan dolphin (Tursiops australis) was only officially recognised in 2011. They are found only in Port Phillip Bay and Gippsland Lakes areas of Victoria, Australia. It is also good to be aware that some physical characteristics vary so much between these groups that some scientists believe and argue that they should actually be classified as completely separate species. There may also be significant differences between populations within the same subspecies, such as coastal and offshore groups. Length: Newborn calves .8 to 1.4 metres, Adult Females 2.4 to 3.8 metres, Adult Males 2.4 to 3.8 meters. Weight: Adults weigh between 190 to 260kg. 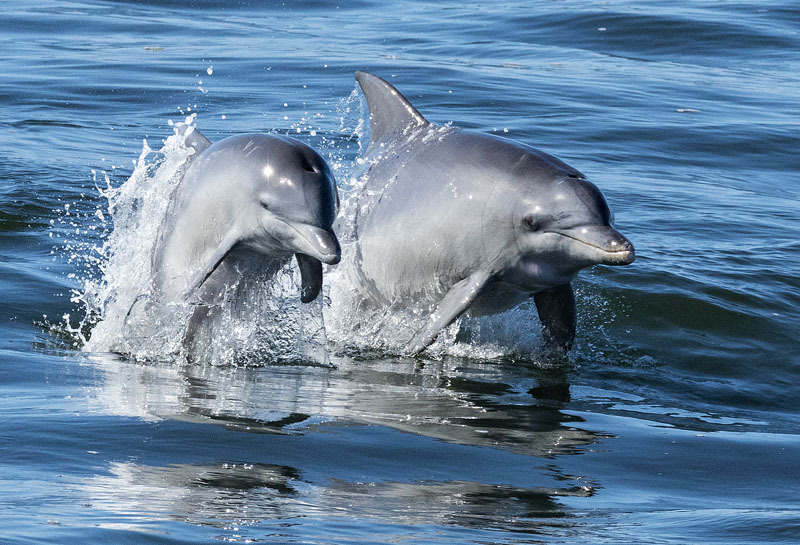 Bottlenose dolphins typically do not migrate, and are very social animals who live in complicated social systems known as fission-fusion societies, where group memberships are constantly changing within the larger population. 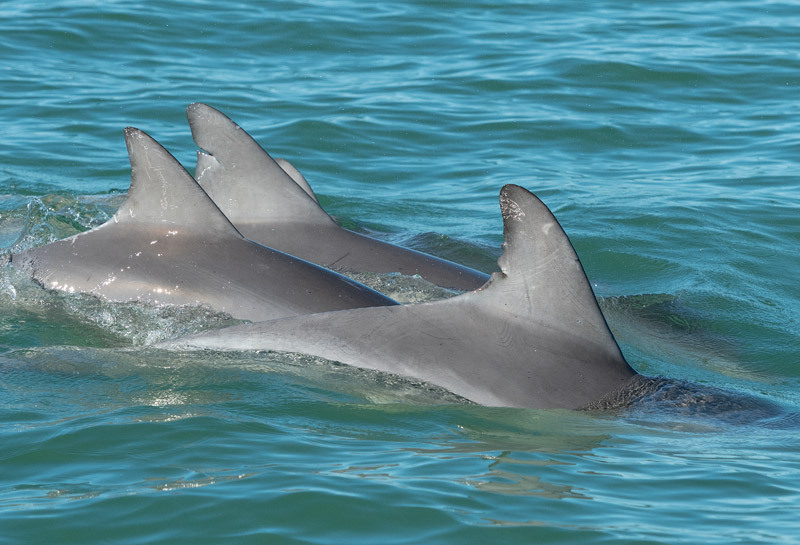 Bottlenose dolphins have also demonstrated several hallmarks of intelligence, including the ability to use tools and to recognise themselves in mirrors. Dolphins feed mainly on fish and squid, but occasionally may eat rays, eels, and small sharks. 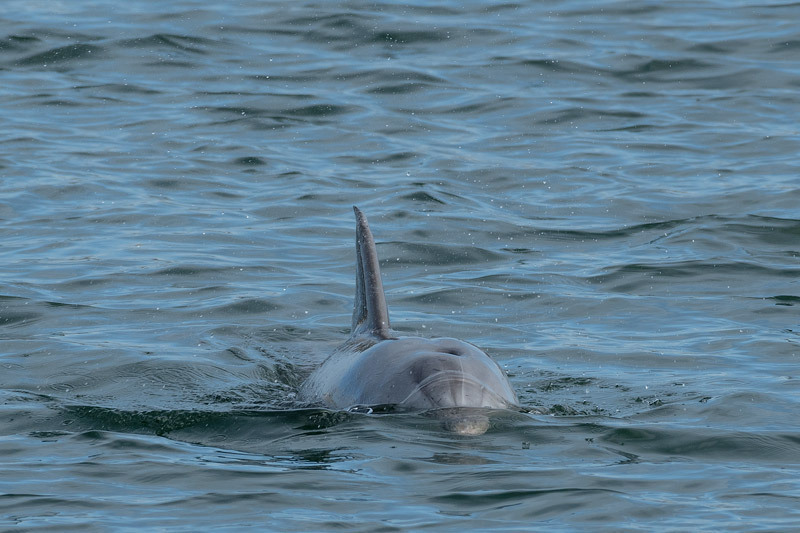 The Bottlenose Dolphin is perhaps one of the most well known cetaceans, because of its widespread appearances on TV (such as in “Flipper”) and in marine parks. Bottlenose Dolphins are relatively robust with an unusually short and stubby beak, hence the name “bottlenose”. Colour varies considerably from light grey to slate grey on the upper body, with lighter sides and a pale to pinkish grey on the belly. The dorsal fin is high and curved and located near the middle of the back. The flukes are broad and curved with a deep median notch. The flippers are of moderate length and pointed. 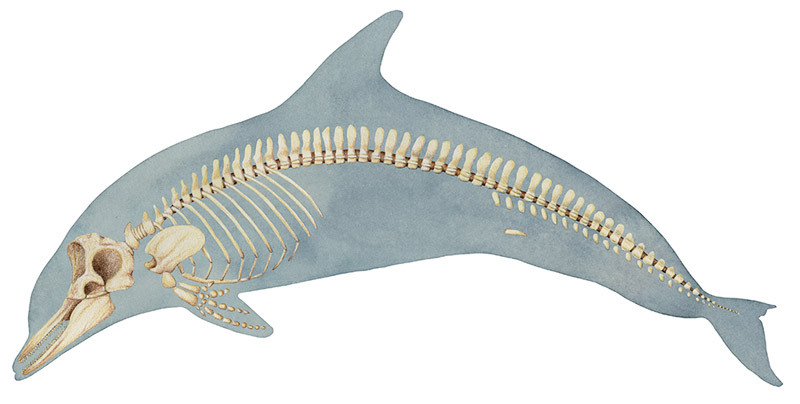 The bottlenose dolphin (like the beluga) has more flexibility in its neck than other oceanic dolphins, because five of its seven neck vertebrae are not fused together as in the other oceanic dolphins. 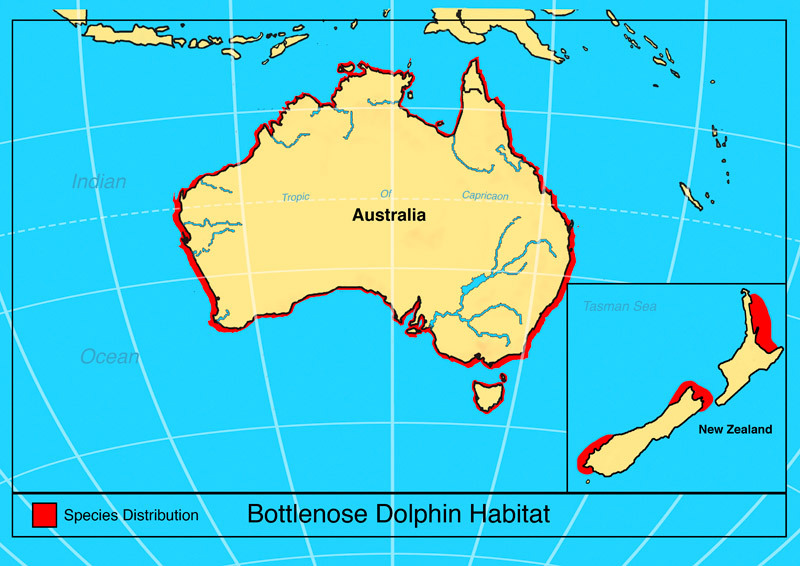 Bottlenose Dolphins are found in the coastal waters right around Australia and in parts of New Zealand. Bottlenose dolphins breed every 4-5 years. Gestation lasts 12 months. Sexual maturity is reached around 10 years of age. Calves are weaned around 4 years of age. In some populations, adult males form alliances of 2-3 males to cooperate in consorting a cycling female. Broad and curved flukes with deep median notch. Dolphins may be found alone, in small groups of 4-5 individuals or in very large groups. A group of dolphins is called a party. for their generous advice and guidance in creating this page. 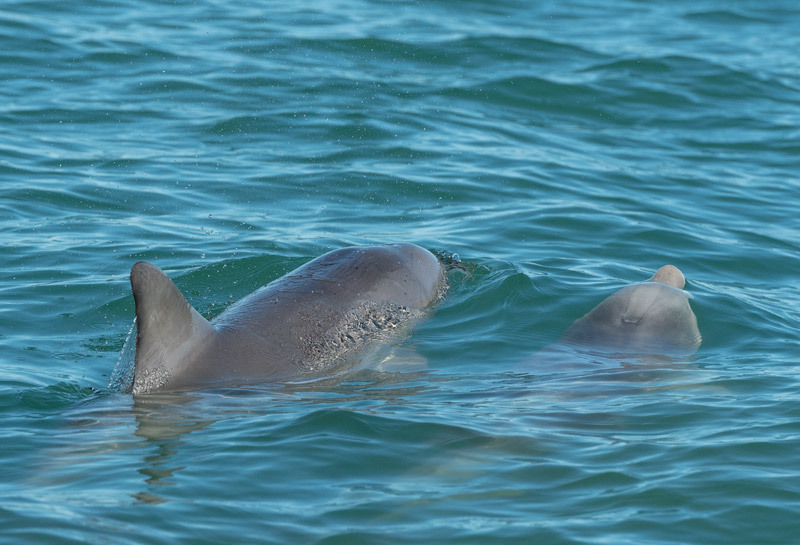 Bottlenosed dolphins of Shark Bay in Western Australia.